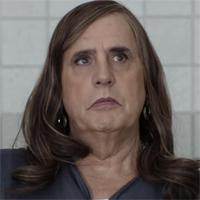 Jill Soloway confirmed to the Los Angeles Times what most have suspected: Tambor's Maura Pfefferman will be written off the Amazon series with his character getting killed off after the actor's sexual misconduct scandal got him fired from the show. “We were all in mourning in many ways, and we all had to process together,” Soloway told The Times about the decision to kill off Maura. “It was important (for the show) to go through all those stages. The show has always been a reflection of who we were and we were mourning our own narrative.” Soloway added: “People say when they’re making musicals that there are moments when the characters have to sing because they can’t put something into words. I think it’s the same thing with what our show went through, we felt like we needed a different way of looking at the family. And we did it through song.” ALSO: See the first images from Transparent's musical finale.